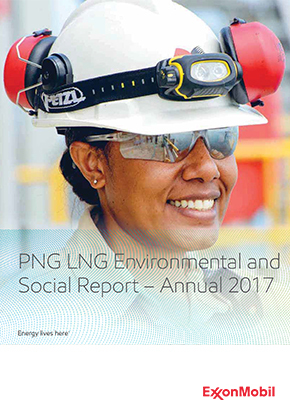 At PNG LNG we are committed to operating in a responsible manner that protects the country’s rich environment. Papua New Guinea is a country of unique biodiversity. At PNG LNG we are committed to operating in a responsible manner that protects the country’s rich environment. Our approach to environmental best practice is outlined in our Environmental and Social Management Plans. Our environmental specialists work closely with the Papua New Guinea Environment and Conservation Protection Authority and conservation stakeholders to support the planning and delivery of our environmental strategy and action plans. We are committed to conducting our operations in a manner that protects and promotes the safety and health of our employees and the communities and environment where we work. Our environment plans contain extensive information on how we manage and address environmental and social impacts as a result of our activities. Our production ESMP consists of two Environmental Management Plans and seven Social Management Plans. Completed prior to construction as part of the regulatory approval process. Our biodiversity strategy underpins our management of biodiversity in PNG. 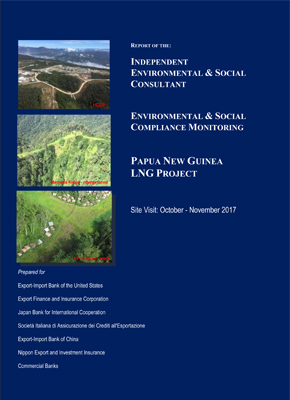 Learn about our progress through our environmental and social performance reports, our ecology reports and those of the Independent Environmental and Social Consultant (IESC) who provide independent assessments on compliance by PNG LNG with the Environmental and Social Management Plan. We conduct an air emissions monitoring program at all production facilities. 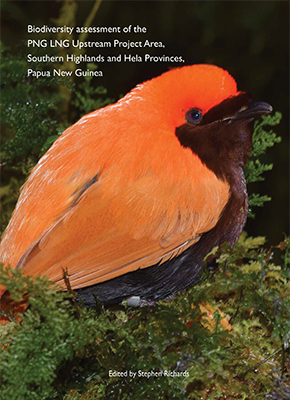 Our commitment to preserving the biodiversity of PNG has helped uncover new species. World-renowned birds of prey expert, Leo Legra is lending his expertise to our biodiversity team. Papua New Guinea has a rich cultural history unlike any other nation on earth.